Releasing today for the first-time ever – Super-Heroes, Super-Villains and Super-Thrills abound in this incredible new piece of classic comic book art created exclusively for the Upper Deck Gallery! Avengers fans will appreciate these iconic comic covers that brought the very first adventures to life of some of their most beloved Avengers, and presented the team together for the first time. 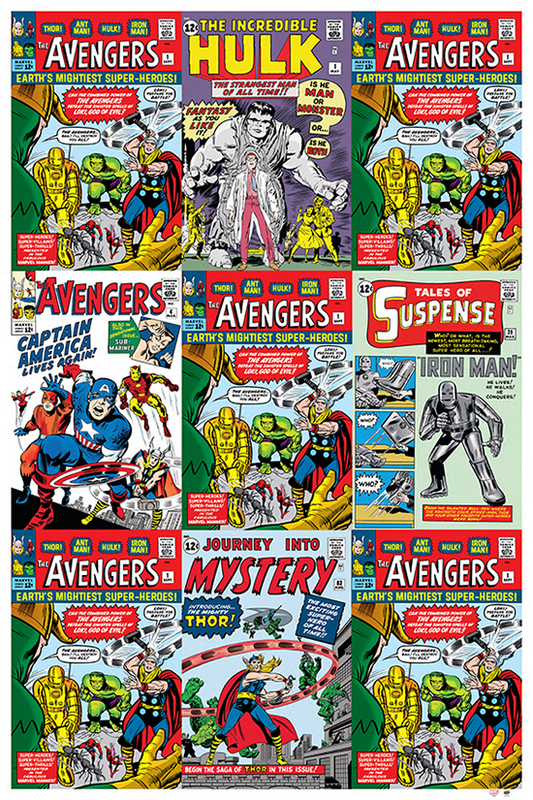 Originally penciled by an impressive lineup of legendary Marvel artists, these 9 classic comic book covers come together in a must-have piece for Avengers fans and collectors of classic comic artwork. 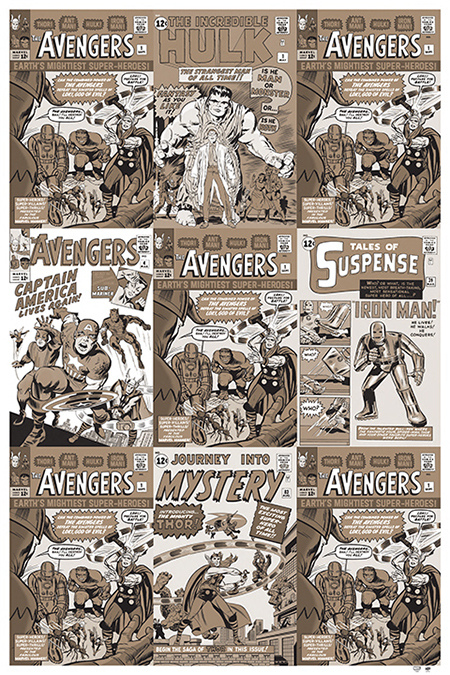 Avengers Origins is a 24” x 36” frame-worthy snapshot of comic book history that is limited to just 250 pieces and individually hand numbered. Each lithographed piece comes with an original Upper Deck Certificate of Authenticity and is currently on sale exclusively at www.UpperDeckGallery.com for $34.99. An even rarer version of this incredible print is available as a sophisticated, sepia color cast with subtle metallic ink treatments. This short printed lithograph is hand numbered to just 100 pieces and comes with a corresponding Upper Deck Certificate of Authenticity. It is available exclusively at www.UpperDeckGallery.com for $54.99, while supplies last. The Upper Deck Gallery is a collection of premium prints that feature unique artwork of fan-favorite comic and movie characters. All prints are limited-edition, one time print runs of incredible illustrations created by today’s top-tier artists and come with an original Certificate of Authenticity. For more information about the UD Gallery and upcoming releases, visit www.UpperDeckGallery.com. new posters will be revealed the first Friday of every month!